Keep your little one warm in their nursery. 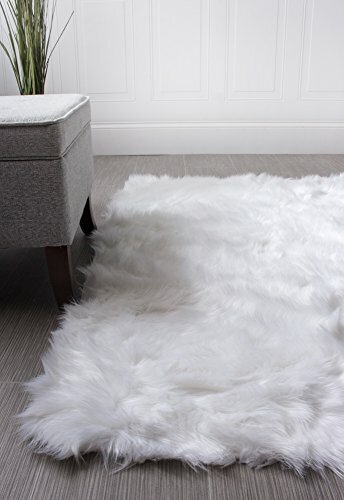 Whether you are looking for something cozy and soft, or an area rug to fit in with your nursery theme, you are sure to find something you love here on our list of hand-picked nursery rugs. These also make great gifts for parents-to-be or at baby showers. 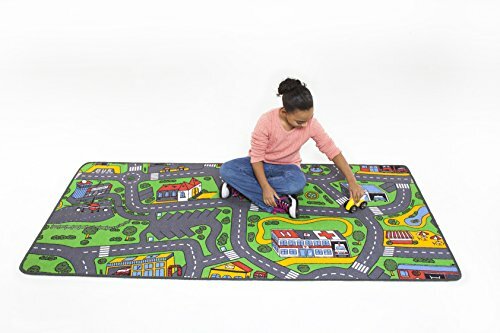 This City Life rug is perfect for a child with a crazy imagination – watch them play with their toy cars and pretend they are in a real town. 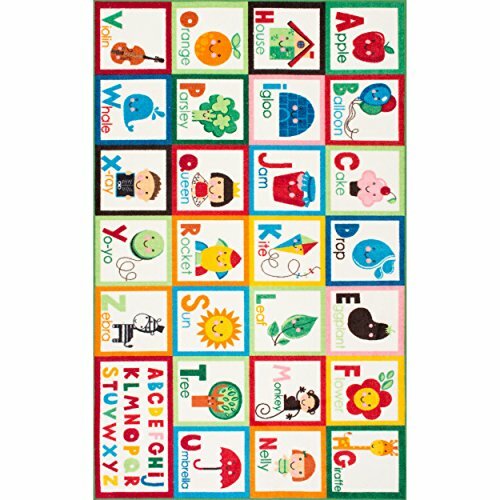 This interactive 8 x 10 rug is perfect for a child’s room or kindergarten classroom to teach kids the alphabet, numbers, and different shapes. 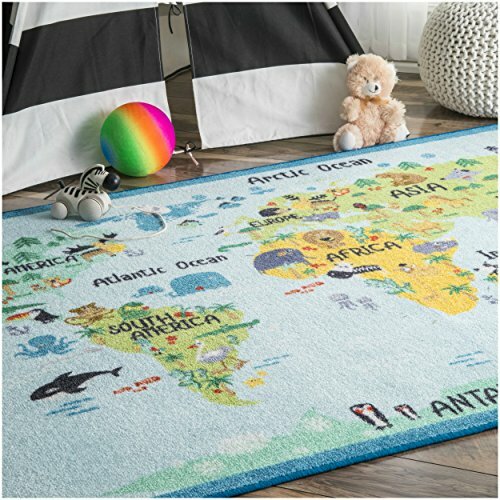 This rug is filled with everything a small town has, and now your child can play around on it all day with their toy cars or their favorite dolls. 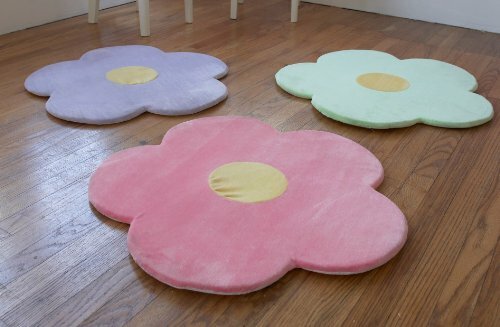 These flower rugs are sure to brighten up the floors of a nursery. Not only are they pretty and cheery, but they are also super comfortable on the feet. 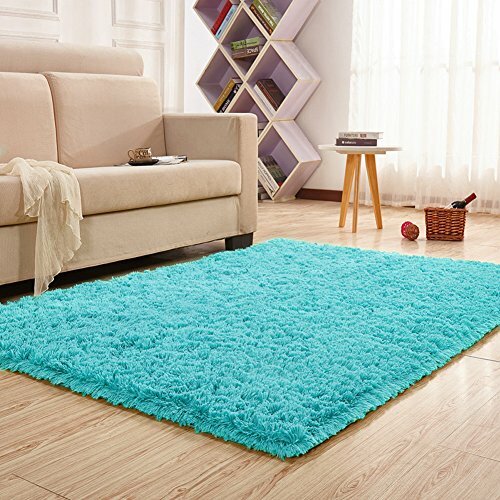 This colorful and soft shaggy rug comes in eight other colors. Click the button below to see them all and buy one for your child’s newly decorated bedroom. $26.99 Buy the Blue Rug! 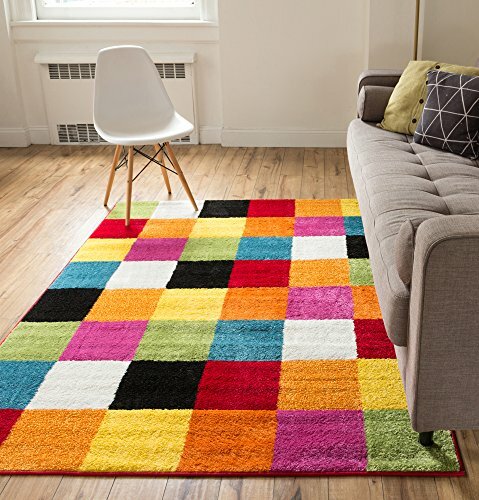 This 3’3″ x 5′ floor rug is full of bright and vibrant colors; it brightens any bedroom or classroom and adds a little fun with its geometric shape pattern. $39.99 Buy the Geometric Rug! A 2.5 ft x 5 ft rug will make your child happy – soft to the touch, you will want to sleep on it because it is so comfortable. This rug adds color to any room and is the perfect touch whether you are completely redecorating or just want to add something new. 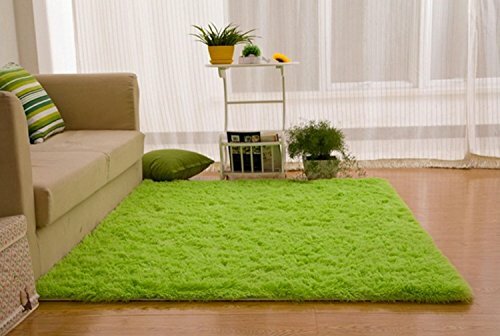 $39.99 Buy the Green Rug! 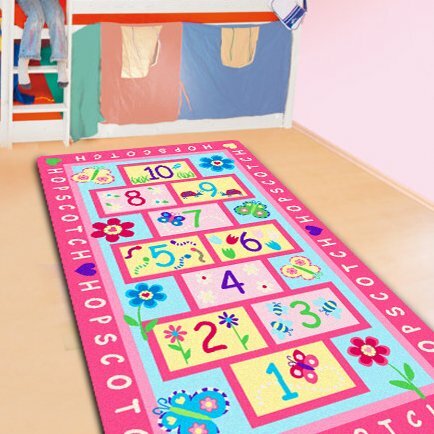 This rug is a safe spot for your child to practice Hopscotch on rather than outdoors on the concrete. It is adorable for a girl’s room or playroom. 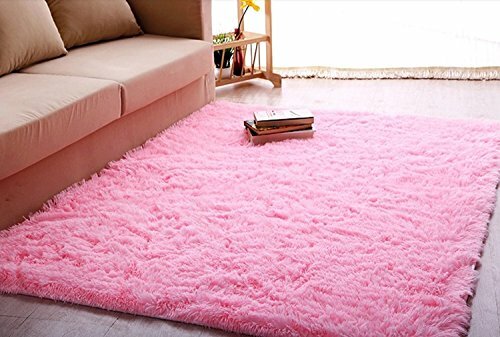 $59.99 Buy The Pink Rug! 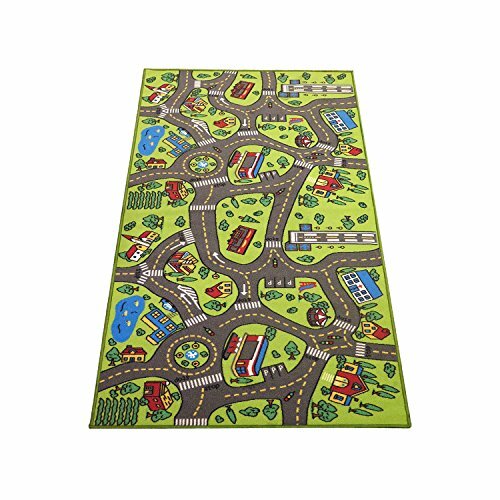 Let your children explore a small town of their own with this exciting rug; they can use cars or other toys to play around and visit the train station, ranch or more. Kids will absolutely love playing on this carpet. 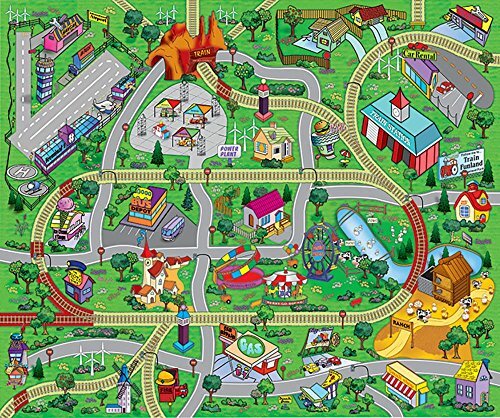 Printed with the alphabet and happy cartoons, your baby will never forget this being in their nursery. 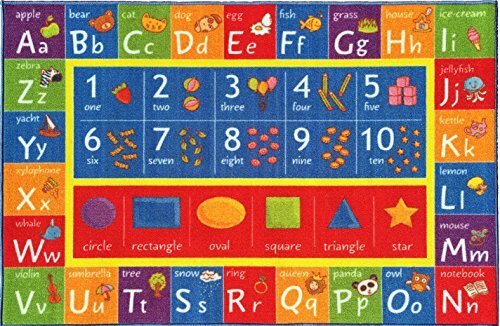 There’s no better way to learn the alphabet! Your little one will love hopping from egg to egg, learning to spell new words as they go. Who said that rugs couldn’t be fun? 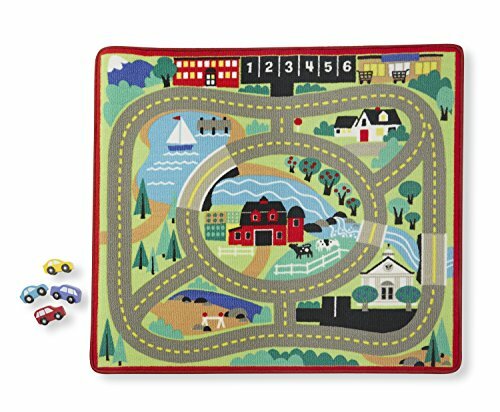 This nursery rug doubles as hours and hours of unlimited fun, and even includes 4 wooden cars! 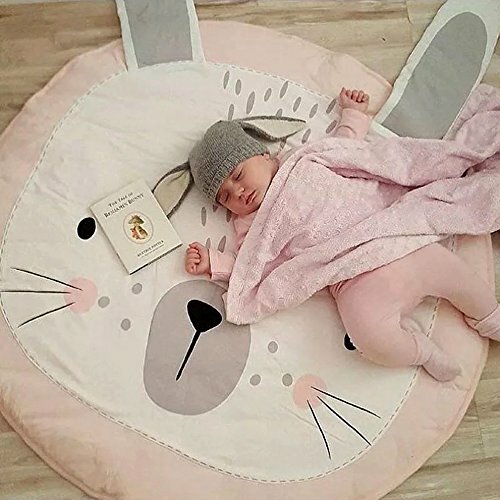 This is quite possible the cutest and most comfortable nursery rug out there. A must have for all parents-to-be, and a great baby shower gift idea. 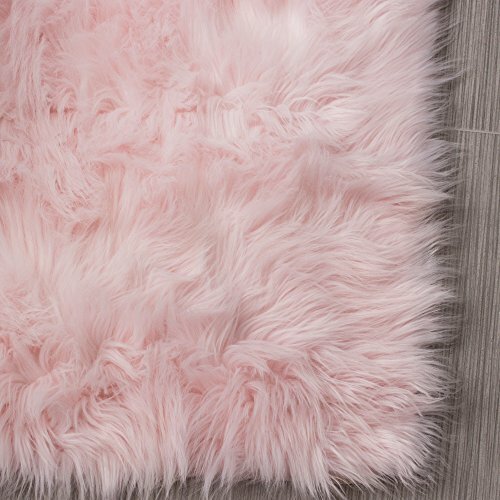 Keep your feet comfy in the baby’s nursery with this super soft and silky rug. This is the perfect gift for a mom-to-be. 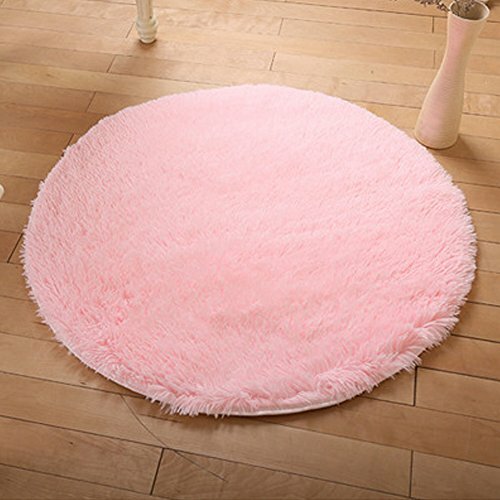 This pretty, pink rug is the perfect furry addition to any nursery. Keep your feet and the baby’s feet warm all year round with this great gift. This is not your average area rug. Super soft, extra thick, and in gorgeous bright colors–these rugs are perfect for any nursery or kid’s room.